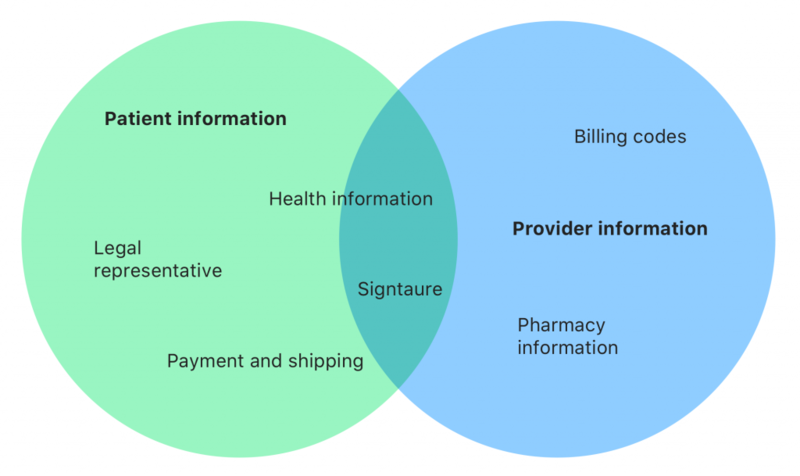 Consumers were still being forced to fax or mail their healthcare forms to their insurance and healthcare service provider. A digital forms engine that can be applied at scale, reduces the need for custom development, while standardizing visual design, interactions, language, voice and tone, and accessibility approaches. The first step was to assess the form inventory and identify patterns. 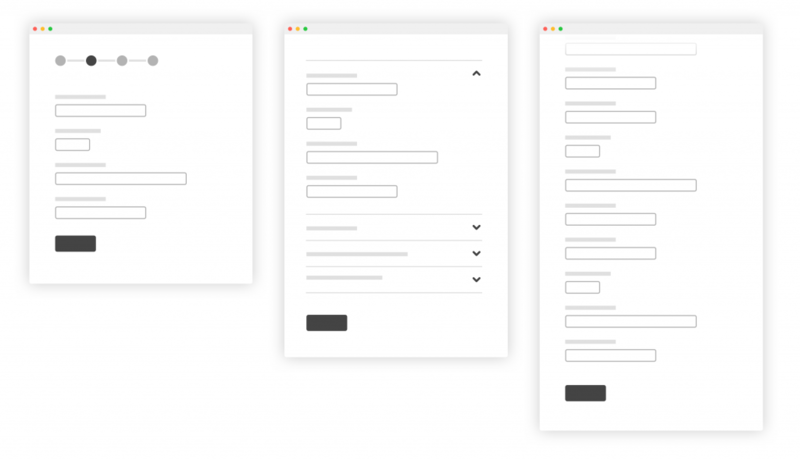 Designing the most complex forms first would produce the most reusable components, enabling a larger number of more simple forms to be created with those components. Thus, the largest and most intricate forms rose to the top of the list to tackle first. Common patterns were tested with users to understand consumers’ preferred way of interacting with the information being requested. 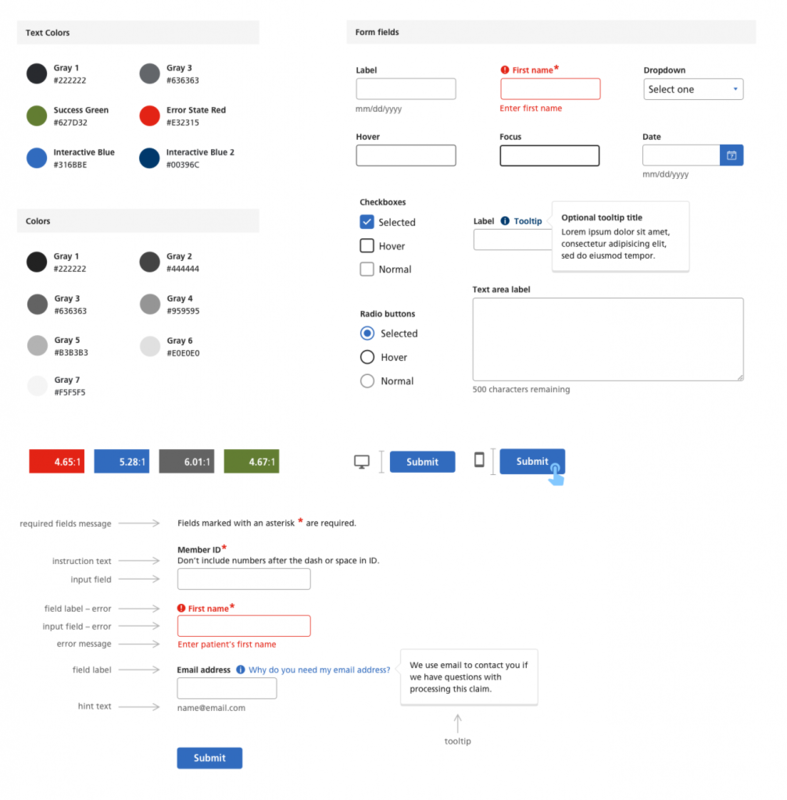 Next, defining a forms style guide unified the visual design and laddered up to the corporate pattern library. Designing the placement of hint text, error messages, and labels involved close collaboration with UX, accessibility, and development. Aria tags, tab order, and language choice were carefully organized into a framework that allowed the forms to be consumed by any number of devices and user preferences. 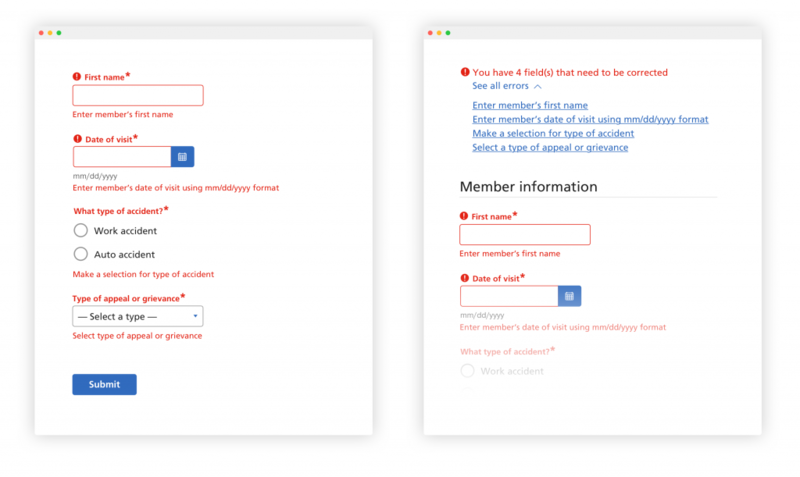 This standardized the interaction and accessibility patterns for the forms. Because this framework was being applied to thousands of forms across hundreds of lines of business, finding opportunities to make the system foolproof would create greater efficiencies down the line. Creating a language framework made error messaging consistent, met accessibility guidelines, and made it easy for other lines of businesses to replicate. Each part of this form framework is interconnected. Together they provide the building blocks to build forms that are accessible, consistent, and easy to use.